In the Premier League, the kicks just keep on coming. Quite literally. Last week it was Sadio Mane kicking Manchester City goalkeeper Ederson Moraes in the face, this week it was David Luiz kicking Shkrodan Mustafi on the shin. And the river of red cards flows. However, in a largely lethargic gameweek where nothing 'Premier League-y' happened, there were some metaphorical kicks too. Like Liverpool drawing against Burnley at home after that Five Point Palm Exploding Heart technique suffered at the hands of City a week ago. It is no secret that Liverpool are sub-par offensively without Mane and that they are sub-par defensively, period. It was conundrum at the back again for the Reds that led to Burnley taking the lead. Which leads to questions like why didn't Liverpool have alternatives to Virgil van Dijk during the transfer window? 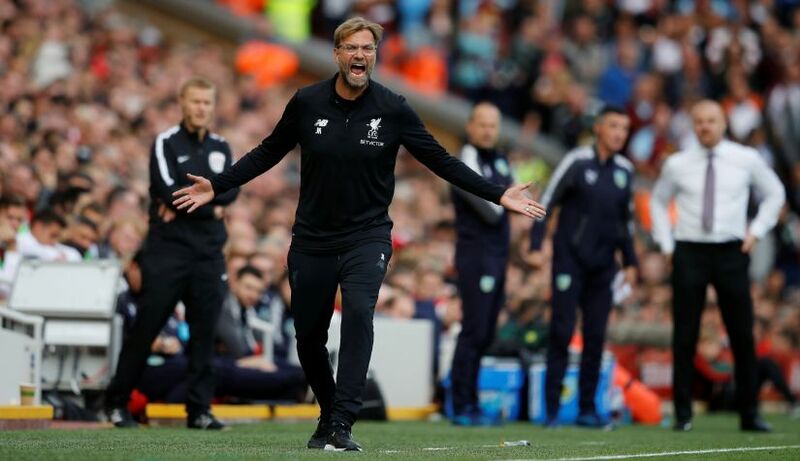 How many times do we have to see Jurgen Klopp walk the 'angry with the result, pleased with the performance' line in post-match pressers before it's one too many? I guess we'll have to wait and watch till next summer, when Philippe Coutinho and Mane both leave for greener pastures. Juventus is already romancing Emre Can. Liverpool, so predictably, are falling into their cycle: period of gloom-new manager-period of hope-main guy leaves-period of gloom. And Klopp would do well to remember that somewhere in the middle of that loop, the new manager becomes the old one. Five weeks in, and we still have two newly-promoted sides in the top six. As absurd as it sounds, but Newcastle at fourth sounds way more astounding than Huddersfield at sixth. At least Huddersfield didn't snooze their way through the entire transfer summer. And yet, Newcastle continue their resurgence with their third win on the trot after back-to-back defeats. Expect Mike Ashley to soon come out and say, with a wide grin on his face, "it was all part of a plan". But credit must be given to Rafa Benitez. To say he's working with limited resources is an understatement. He loses some, he wins some, but he continues to fight with unshakeable pragmatism. He is truly a top manager. Elsewhere, a shocker of a result: Crystal Palace lose again under new manager Roy Hodgson. It is an overreach to say that the Premier League is the best league in Europe, but it certainly is the cruellest. Frank de Boer was sacked after just four league games in charge; the shortest ever reign in terms of games in league history. And utilising all their wisdom and intent, Palace appointed a man who's as out of touch from modern football as... sorry, we can't think of an equivalence. Hodgson is a relic. Hodgson took a talented, young, fast English national team and turned it into an identity crisis. He is the walking, talking equivalent of footballing time machine that is broken in a way that it always takes you to a miserable past, never to a glorious future. If he was a phone, his only addition feature besides calling and messaging would be a torchlight that is never bright enough to throw light on the crocodiles inching towards you slowly in the dark. And Premier League is a dark place and full of crocodiles. Speaking of crocodiles, Jose Mourinho's hunt continues. 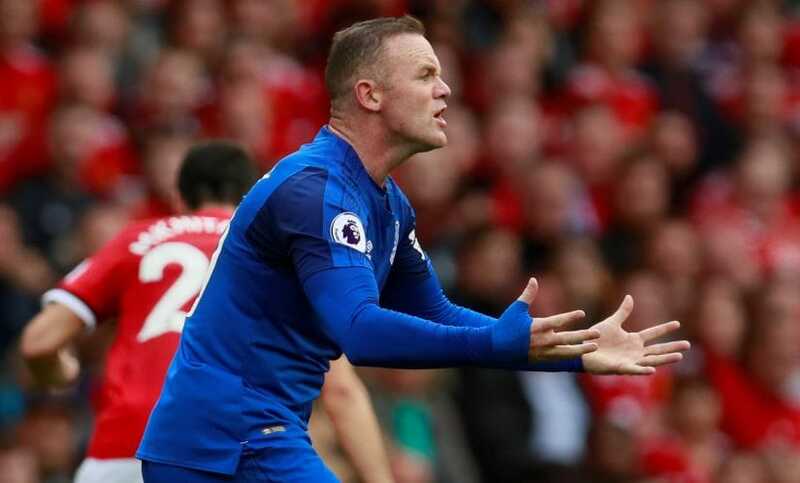 Chelsea-Arsenal was supposed to be the headline fixture from Sunday, but instead an unfruitful return to Old Trafford for Wayne Rooney stole the spotlight. Indeed, Premier League is cruel. So many imagined narratives collectively turned to dust on Sunday night when Rooney tried and tried but couldn't find the net against the team for which he has found the net 253 times in the past. Sometimes, a game of football offers more stories and anecdotes than an issue of Reader's Digest. And sometimes, it just looks you in the eye and blows a raspberry. Romelu Lukaku, on the other hand, scripted stories of his own. Assisted one and scored one against his former club Everton. 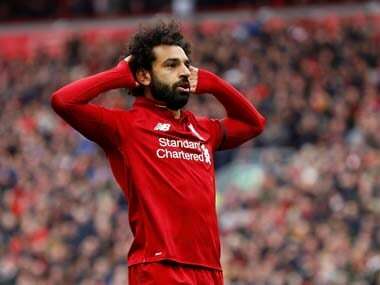 But what truly would've stoked Everton fans' ire that he celebrated, breaking sacred rule No 1 in football: Thou shalt not celebrate after scoring against your former club. Good numbers, but bad karma. United and Everton swapped strikers over the summer. One's ambition enlarged; the other's reduced. One, the rising sun; the other, setting for a while now. One, celebrated his goal, his new colours; the other sat, face in hands, and looked on in quiet misery. And that quiet misery grows louder every week for Ronald Koeman; his fourth straight loss, 12 goals conceded, none scored. If Liverpool are eighth and leaking goals, they have one thing to be pleased about: that Everton are 18th, sitting snugly in the relegation zone above Bournemouth and Palace. Koeman must be fearing for his safety right about now. On the other side of Manchester, Sergio Aguero made a statement to his manager and to the league that he is still the king of Premier League forwards. Amidst talks that the Argentinean, the most consistently prolific Premier League striker for six seasons now, is falling out of favour with Pep Guardiola, who now prefers praying at the church of Gabriel Jesus, Aguero delivered a trademark hat-trick as City scored six against Watford. 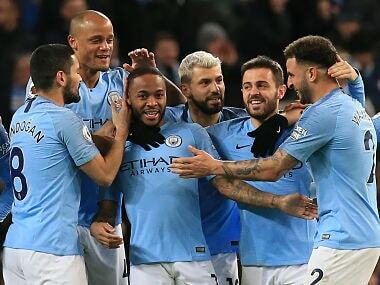 Fifteen goals in three games, and rampaging City are slowly finding their groove. 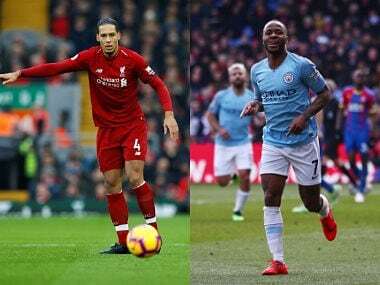 It seems our early season prediction that the battle for league title will be fought in Manchester is on its way to fulfilment. 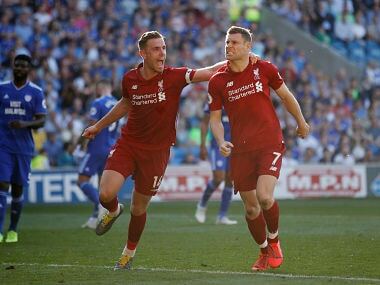 The big game of the weekend, however, offered no goals as Chelsea and Arsenal drew a blank at Stamford Bridge, but Arsenal surely left the field as the happier team. In a most un-Arsenal performance in ages, they showed more grit and physicality, something they have been often accused of lacking, against a team has out-gritted them too many times in the past. And they could have taken three points, if only they showed a bit more finesse near the goalmouth. But their grit and hard work has spawned another debate. Mesut Ozil missed the fixture due to a knee problem now many are now questioning if the team works harder, runs faster, is more physical without him? If last night is any proof, then it seems to be the case. For Chelsea, on the other hand, it was made abundantly evident that not having their key man in the team does not make them better. Eden Hazard, came on as substitute late in the game, and he brought with him the electricity that Chelsea have been missing this season. In his short stint, he twisted, turned and tricked around the field. His return is a huge positive for Antonio Conte, who keeps losing players due to suspensions. Luiz's straight red means he will miss three games, including a crucial one against City. And it's relatively safe to say that Chelsea missed Diego Costa in the muscles department last night. But, alas, he doesn't work on Sundays.